In the end, this is just a piano - and not a world-class one. Nothing major - just not outstanding. Expectations are high for Radical Piano. If you aren't really a piano kind of producer, then you might be about to stop reading - but don't be too hasty. 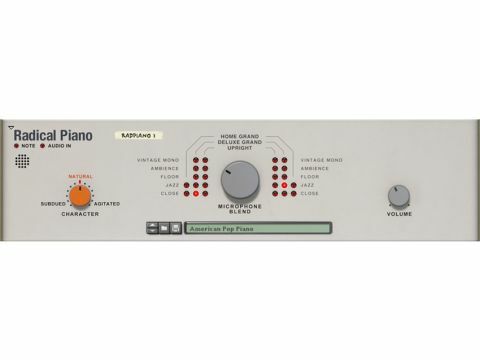 Radical Piano takes a number of piano models, enabling you to blend them to create completely original sounds. Opening up the bottom section also enables you to tweak a large number of parameters, such as envelope, resonance, EQ and even mechanical noise. Little details such as any undamped strings resonating, multiple basic piano types and room ambience all conspire to facilitate making everything from realistic-sounding pianos to otherworldly ones. If you're a Reason user and want some tasty piano sounds, then this is currently your best option, but the rest of us can stick with ID8's default Piano preset.